Writing is an important part of marketing and advertising these days. Even if you aren’t doing either of these things, you might still have a personal (or business) blog, or simply want to improve your writing skills. Whatever your reason for writing, we can always improve! 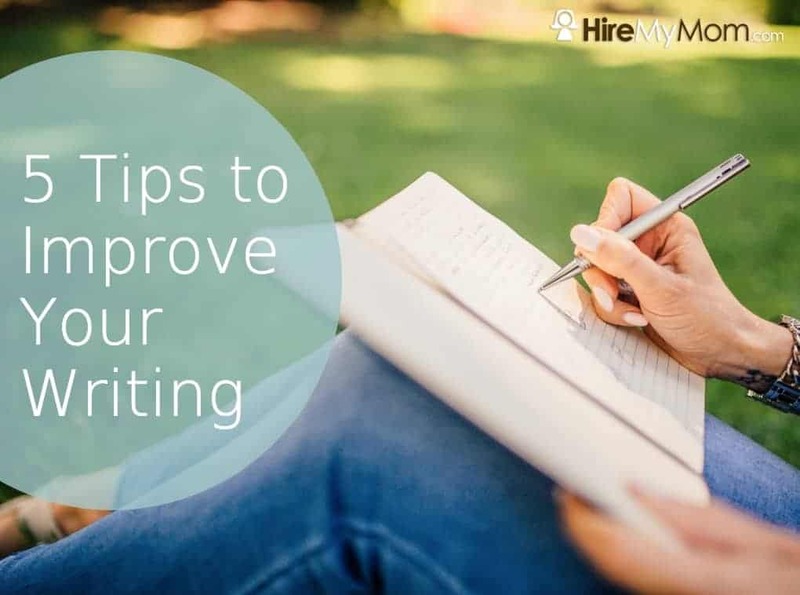 If you’ve ever wanted to expand upon your writing skills for personal or professional reasons, read along for some of our top tips. If you want to improve your writing, you have to practice! This can begin with reading others’ writing – blogs, newspapers, books and magazines, to name a few, and going from there. It might be helpful to start your own personal blog, or a blog based on your current industry. If you don’t feel ready to publish for the world to see, write on your own time. You can create your own daily journal, or write a short story that’s updated on a weekly basis. The more you write, the more comfortable you become. Once you’re comfortable writing, you can work to improve sentence structure, grammatical errors, and flow. When we write our own pieces, it’s hard to disconnect. Ask a friend or family member to review your writing for errors, flow, and any other suggestions. They can also let you know if you need to be more concise! Sometimes we get on a roll with writing, and we tend to get a bit too wordy. To find your own style, begin by writing in a variety of ways. From standard AP style to casual blogs, it all requires some different perspectives. If you really want to improve in general, try to incorporate them all. From here, you can discover what you like best! Discover your own style. Is it more conversational in nature? Do you enjoy technical writing? You might stumble upon a skill or career that you never knew you had! The best writing and presentations includes telling stories. People want to relate to you, so it’s important that you incorporate details that allow them to do that. Stories are always more interesting and give your audience something to relate to. Whether you’re writing a more “dry” piece or writing for an entertainment magazine, short stories are intriguing. You can write about the subject(s), something that happened to you, or a story from history that supports your premise. Writing doesn’t have to be scary, nor do you have to be a professional to get started! You can create a free blog on sites such as WordPress, and it takes almost nothing to get started – just some time. If you have a message or story to share with the world, put yourself out there on a regular basis. This can only improve your writing, as well as keep you writing on a consistent basis. When you write often and always look for improvement, you’re well on your way to developing more skill and accuracy as a writer! Find a Job or Post a Job Today! At HireMyMom we want to help our Mom Professionals continue to learn and thrive in their business. We often provide free online training. Learn more about our memberships and how you can join a supportive faith-based community of Mom Professionals!